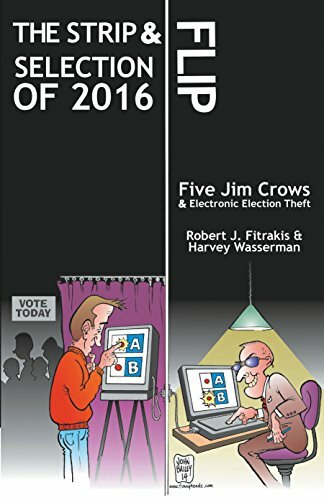 The issue here is both voter fraud, which is limited but does happen, and election theft through the manipulation of the computerized voting machines, particularly the DIEBOLD/PES voting machines in wide usage in most states. The Strip & Flip Selec... Robert J. Fitrakis, Ha... Check Amazon for Pricing. To be very clear both parties have engaged in this skullduggery and it is the party in power in each state that has custody of the machines and control of their programming. This year, the results of machines in Pennsylvania, Virginia, and Ohio, where Governor John Kasich controls the machines, must be matched with exit polls, for example. Europe has rejected electronic voting machines because they are untrustworthy. This is not a secret. The media continues a drum beat insisting voter fraud is nonexistent without ever addressing the most ominous question of manipulation of the voting machines. It keeps those in control in control. Additionally, some states still use machines that include no paper trail. The “evidence” is destroyed. Florida’s machines have no paper trail in Bush v. Gore. As someone with a great sentimental attachment to the Republican Party, as I joined the party of Goldwater, both parties have engaged in voting machine manipulation. Nowhere in the country has this been truer than Wisconsin, where there are strong indications that Scott Walker and the Reince Priebus machine rigged as many as five elections including the defeat of a Walker recall election. 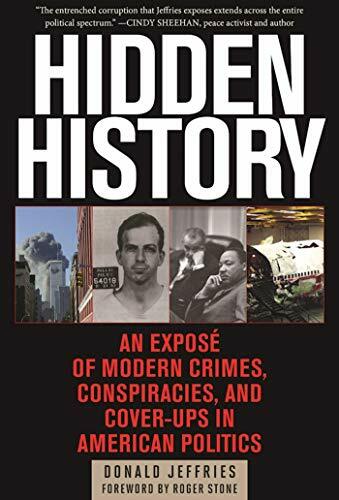 Hidden History: An Exp... Donald Jeffries Check Amazon for Pricing. Mathematician and voting statistic expert Richard Charnin has produced a compelling study by comparing polling to actual results and exit polls to make a compelling case for voting machine manipulation in the Badger state. I predicted that Trump would lead in the polls after his highly successful convention (despite the media frenzy over the non-issue of a Melania Trump staffer plagiarizing a handful of words). In fact, post-convention polling for the Trump effort by pollster Tony Fabrizio in key swing states was encouraging. Perhaps this is why the establishment elites have gone into overdrive to attack Trump. We are now living in a fake reality of constructed data and phony polls. The computerized voting machines can be hacked and rigged and after the experience of Bernie Sanders, there is no reason to believe they won’t be. Don’t be taken in. Is This the Mythical Chupacabra?